♫ Baby it’s cold outside ♫ which means we’ve gotta keep the internals warm and thoroughly nourished. 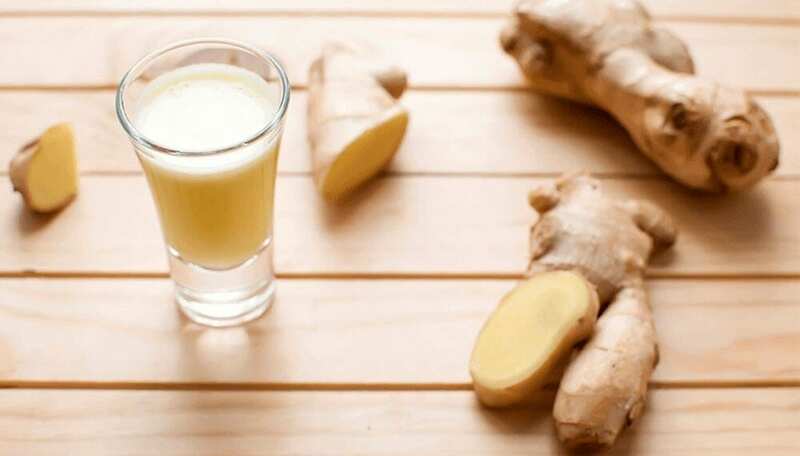 Gingers incredible immunity-boosting capabilities just got pretty darn delicious. The magic of the ginger root lies in its gingerol content (the oily resin from the root). There are 115 different bioactive compounds found in ginger, many of which are hugely beneficial for overall health, but none quite as potent as gingerol. 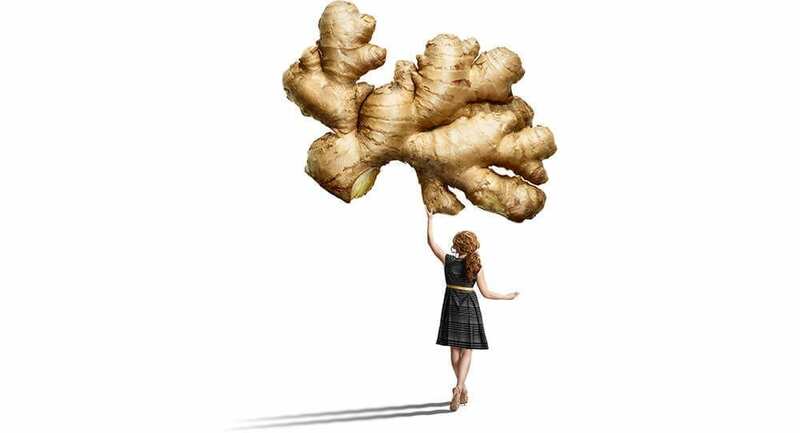 Gingerol’s therapeutic benefits have been used in medicinal remedies since records began. Chinese and Indian culture have been using ginger to treat the body for over 4,700 years for ailments such as nausea, ulcers, arthritis and a compromised immunity. The fiery root has also proven to improve diabetes, fight bacterial and fungal infections, aid in digestion, lower cholesterol, reduce pain and inflammation and speed recovery time. Juice the 3-4 lemons and set aside. Peel and slice the ginger into small pieces. Boil the ginger and sliced lemon in 1.5 litres (6 1/3 cups) of water for 30-45 minutes with the lid on. Turn off the heat and add the tea bag, the honey, and lemon juice. Leave to rest for 30 minutes before straining it to remove the sliced ginger and lemons. Note: If stored in the fridge, the concoction should be good for a week. Bring a large saucepan of lightly salted water to the boil and cook the noodles according to packet instructions. Place the mangetout in a metal colander and set above the boiling water to steam with a lid on, ensuring the water doesn’t touch the colander, for 2 minutes. Drain the noodles and toss with the mangetout, spring onions, sesame oil and seeds, 1 tablespoon of lime juice and the coriander. Season with salt and pepper and set aside. Heat the grill to high and line a baking tray with kitchen foil. Put the aubergine on the tray, skin-side up, and grill for 10 minutes, or until the skin has hardened and the flesh is soft. Meanwhile, mix the miso, ginger, honey, soy sauce and 1 tablespoon of lime juice together in a small bowl. Turn the aubergine over and push the miso mixture into the grooves. Grill for 5 minutes, flesh-side up, checking after 3 minutes that the miso is grilling evenly. It should be patched with brown but not burnt. Cut the aubergine into thick slices and place on top of the noodles. Serve immediately in two warmed bowls or divide between two lunch boxes. 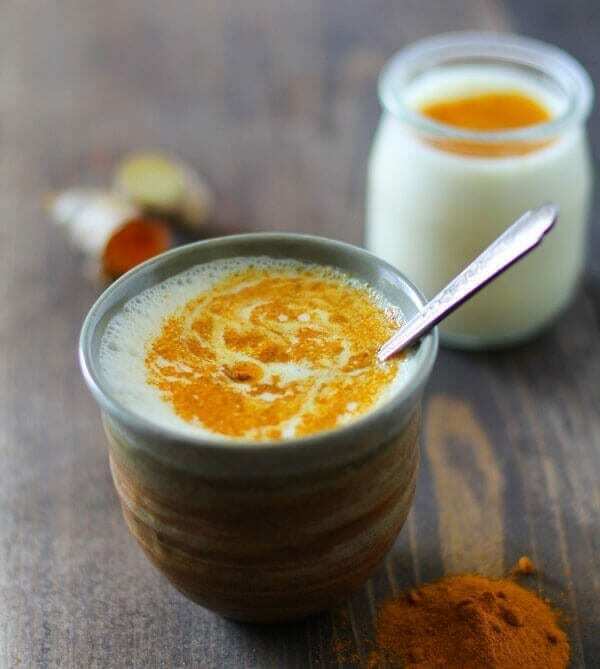 A savoury lassi – ginger-spiked in this case – is both warming and refreshing. You can drink them at breakfast time, but they are equally handy for quelling fiery curries. If you’d prefer a sweet version, swap the cumin seeds and salt for a pinch of ground cardamom and sweeten with jaggery, honey or brown sugar. Toast the cumin seeds in a dry frying pan then crush in a mortar and pestle. Blend everything in a liquidiser and serve in tall glasses. 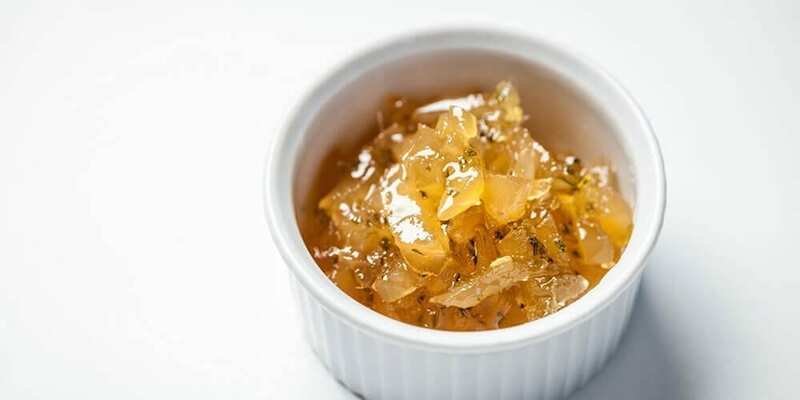 Simple ginger jam recipe and you will be left with a ready-made accompaniment that will keep for a few months. It is the perfect partner to white fish and also goes nicely with chicken and pork. Place the ginger in a saucepan with the sugar and water. Bring to a simmer and cook gently for 30-45 minutes until slightly thickened. Preheat oven to 350ºF. Line an 8×4 loaf pan with parchment paper. In a separate bowl, add coconut oil, maple syrup, molasses, egg, and almond milk. Whisk together until smooth and well combined. Add dry ingredients and mix until just combined. Pour batter into loaf pan. Sprinkle with a little coarse sugar (this will create a beautiful loaf and a delicious crunch on the outside). Bake loaf for 35-45 minutes or until tester comes out clean. In pan 10-15 minutes before removing and to a wire rack to finish cooling completely. To make gluten-free: Use 1 cup almond flour, 1 cup gluten-free oat flour and 1 teaspoon apple cider vinegar instead of the whole wheat pastry flour. Bake as directed above. Set yourself up for success with our diplomas that are accredited in 26 different countries. Distance learning allows you to study at a pace and location that best suits your needs.